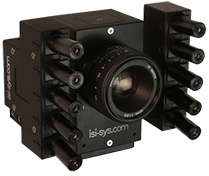 Shearography and electronic speckle patter interferometry (ESPI) are laser based, optical measurement methods, working full field and non contact. The main field of application of the Shearography systems of isi-sys is non destructive testing (NDT). The full field differential deformation measurement of shearography enables to locate especially structurally and mechanically relevant defects such as delamination’s, cracks or void due to local inhomogeneous deformation and strain distribution, when an external load is applied. In the practical application, this can be a thermal load via light sources or hot air guns, dynamical load via Piezoshakers or mechanical loading steps such as change of the internal pressure of tubes and tanks or vacuum loading by vacuum chambers or vacuum hoods. DIC enabled a measurement, which have not been possible with conventional methods such as at high temperatures, at high strains or on small field of view with high spatial resolution. In a number of cases DIC has replaced conventional methods such as strain gauges or extensometers – especially in the area lf development and research due to the full field and non contact working principle. The combination of Video Stroboscopes or High Speed Cameras with digital image correlation (see above) is used for vibration measurements applying the phase resonance or phase separation method. The VIC-FFT modules enables to analyse operation deflection modes full field and 3D based. Designed for vibration excitation in the range from 1-100kHz especially for non destructive testing and vibration analysis. 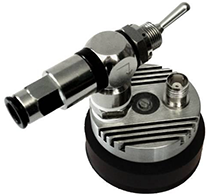 The piezoshaker excitation systems include special light weight high power piezo amplifiers for mobile application in NDT with shearography and thermography. The video on the right shows the lamb waves, generated by the piezoshaker, that is attached at the bottom of the specimen. 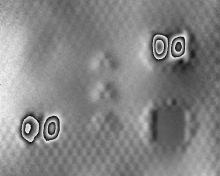 The waves travel across the object surface and excite the five local subsurface defects on the top. The local defects vibrate differently, depending on their local mechanical properties (stiffness).